The habitat of the incredible wildlife that call the Amazon their home is threatened by many invasive industries such as logging, oil, poachers and others whose actions and constant exploitation have endangered many species almost to the point of extinction. To counter this, the owners of the Manatee Explorer have started 3 programs aimed at keeping, defending and promoting the preservation of the Amazon's biodiversity, through the implementation of sustainable projects involving local communities and conservation entities. The rare Charapas (yellow spotted sideneck turtles), lay their eggs in river banks during the dry season making them very easy for humans to find, and are illegally harvested for human consumption and can be bought in local markets. This practice has put the survival of this species in danger. According to the IUCN Red list, these unusual turtles fall under a “vulnerable” classification. In collaboration with the Wildlife Conservation Society and local communities, the Manatee Explorer team have started the Charapas Project with the aim of protecting the existing turtles and repopulating this endemic species. 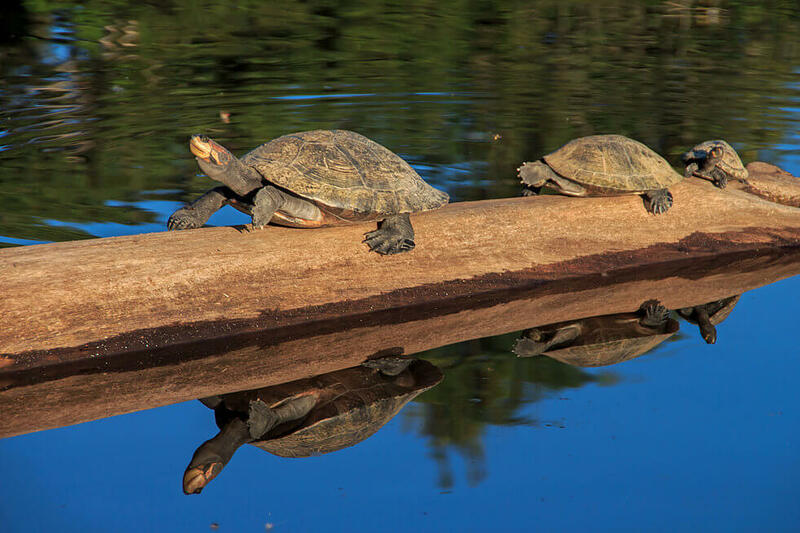 The project focuses on controlled breeding, which is possible through the protection of river banks where turtles lay their eggs. This practice enables them to take care of eggs and hatchlings until they are old enough to be released into the wild. Guests have the amazingly rewarding opportunity to release one young hatchling into the wild! In Ecuador the Amazonian Manatee is classified as “critically endangered” and is considered the most threatened Amazonian mammal. Since ancient times indigenous hunters have tackled manatees in order to get meat for local consumption, whereas in recent times, they have supported an active commercial fishery for their leather, meat and oil. Their annual reproductive rate fluctuates at an incredibly low 5%. Combined with a low survival rate of calves, it is easy to see why the species is in danger of extinction. 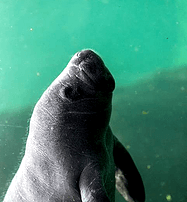 The Manatee Program involves the construction of a research center, where rescue, rehabilitation, breeding and hopefully release of manatees will be undertaken. The Manatee Research Centre is due to open in 2017, and will raise awareness about the manatees' plight, and allow guests to witness and participate in their care. Amazon River Dolphins are often pink, but the shades on their skin may vary from a soft grey to pink when exposed to different lighting conditions and also to reflect excitement! They are apex predators which means that they have a strong influence on their habitat. If their population declines, a cascading environmental effect will occur. The pollution of the Amazon River waters, in addition to the degradation of the rainforest surroundings and illegal hunting, have compromised the survival of these dolphins. The IUCN Red List has pointed out that there is a limited amount of information currently available about these creatures. The Manatee Explorer owners have decided to set up a research station for Amazon River Dolphins that will facilitate the monitoring and observation of this unique species. As part of your cruise you may get the chance to feed these remarkable creatures in the wild in Cocaya near the Peruvian border.